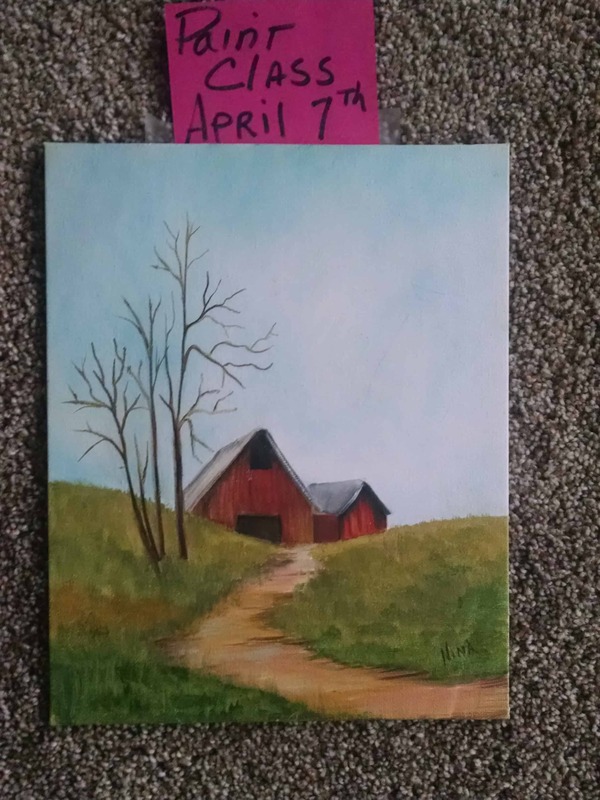 We had alot of fun oil painting and so will paint a different barn with Nina Stachewicz April 7th! Call 815 232-1181 to RSVP. $25 includes all painting items needed.